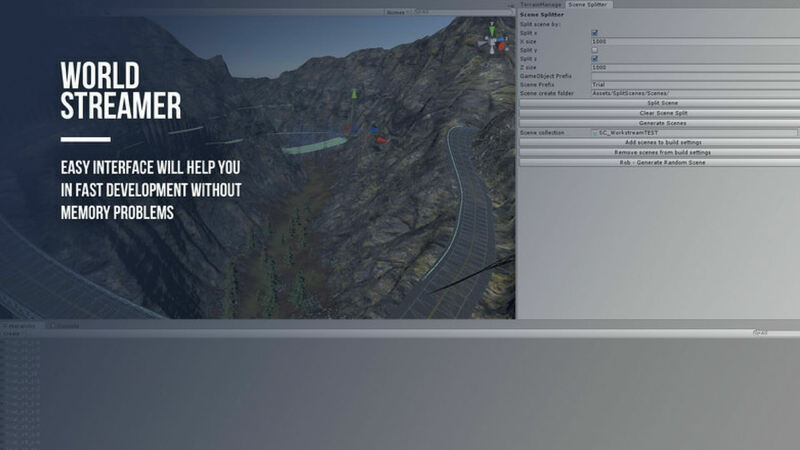 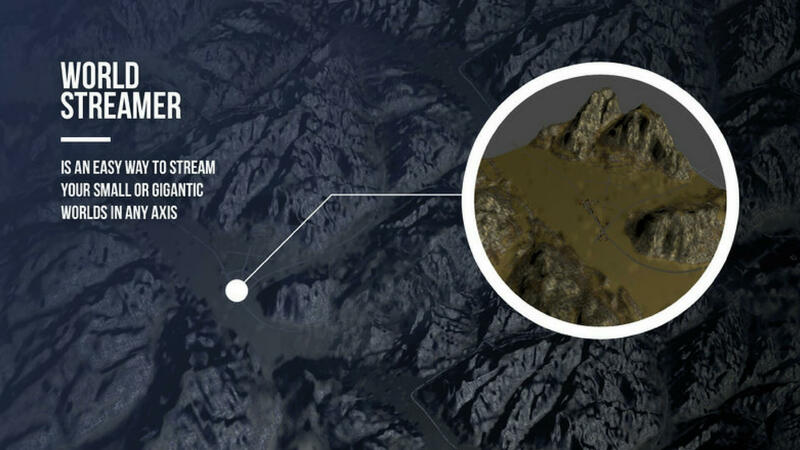 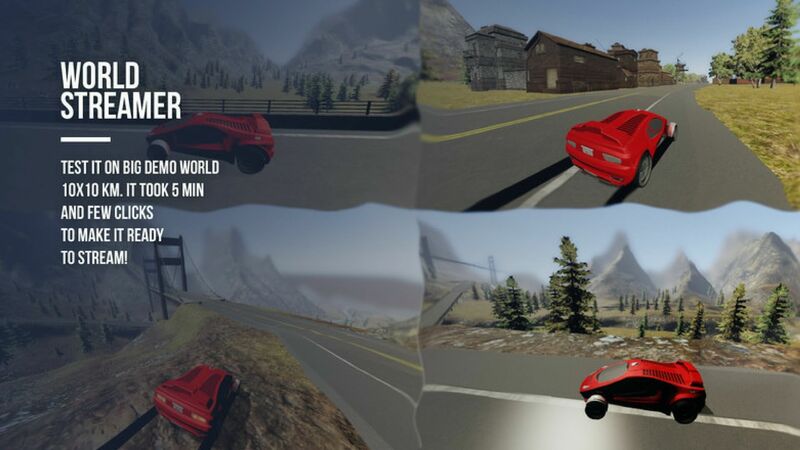 World Streamer - open world and a vast terrain - all this to help your game delight the player, by giving him a feeling of freedom while exploring the virtual worlds! Our project is based on the ability to stream the whole game from disk in any axis and space so that everything functions without the need to load screens during player movement. 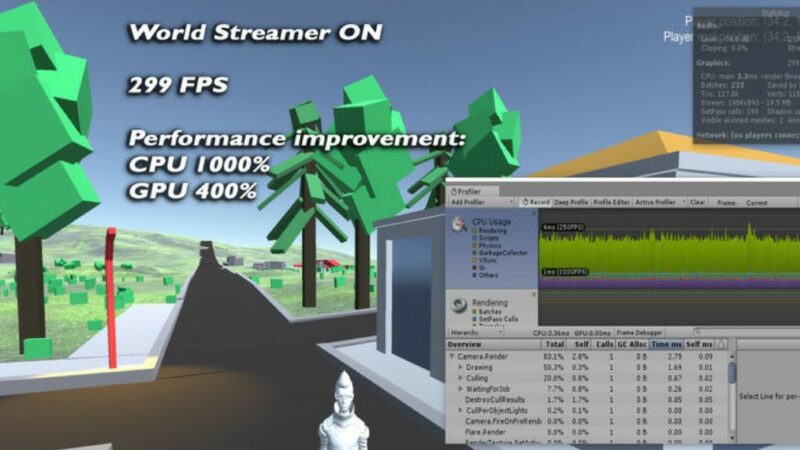 In addition, World Streamer is useful for architectural presentations. With streaming, the number of objects on the stage is reduced, so you can save CPU power.